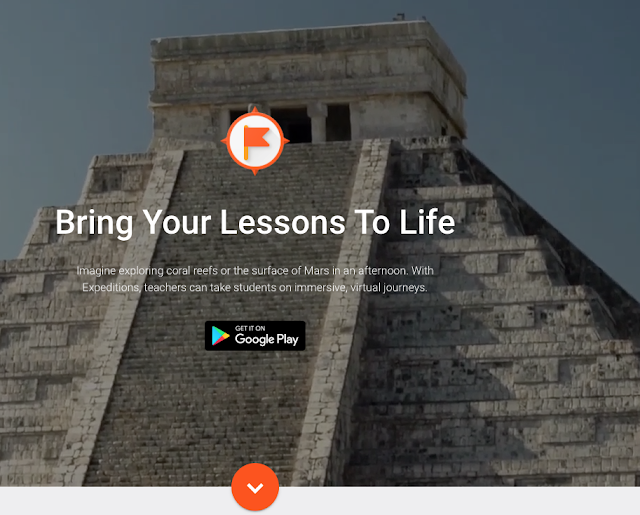 Google Expeditions for everyone - want to see Mars? Just received an e-mail from Google stating that the popular "Google Expeditions" was made available for all this past Monday. While the app is available today for Android it will be available for iPhones and iPads soon. What is a Google Expedition? Basically it is a way for students/users to travel the world in 3-D. The Expeditions Pioneer Program came to the district where I teach this past February and took students to Mount Rushmore, the Savanah, Greece, England, as well as coral reefs and Mars! The students could not stop talking about "cool" it was to actually see what they were learning about. You can pre-order Expedition Kits through Best Buy in time for back to school. For a more in-depth look at what a Google Expedition is - click here.